Pfizer has dropped its pursuit of AstraZeneca after repeated takeover attempts. 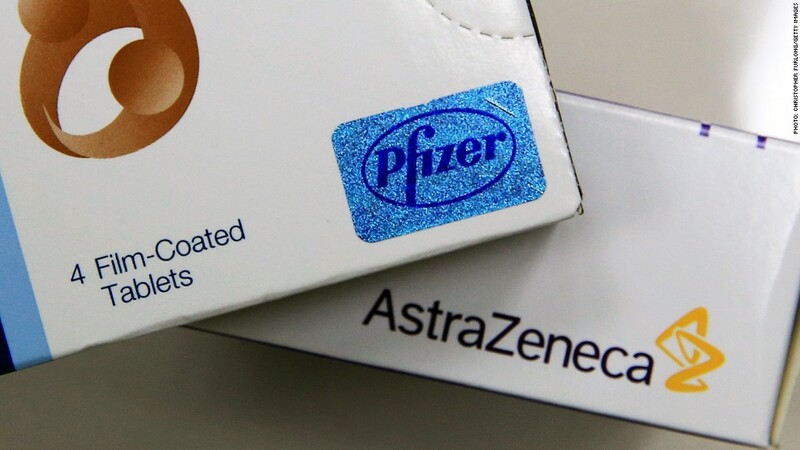 Pfizer has given up on its attempt to take over the British pharmaceutical company AstraZeneca. The American drug maker announced Monday that it was withdrawing its latest in a series of unsolicited offers. That bid valued AstraZeneca (AZN) at nearly $120 billion, a 45% premium over the company's share price in mid-April. If the deal had been accepted, it would have been one of the biggest drug takeovers in history. But AstraZeneca's board repeatedly said that Pfizer's (PFE) offers were not sufficient -- it rejected Pfizer's offers four times over the past few weeks. Pfizer CEO Ian Read said in a written statement, "We continue to believe that our final proposal was compelling and represented full value for AstraZeneca based on the information that was available to us." On the other hand, AstraZeneca's chairman, Leif Johansson, countered by saying he was confident his firm had solid long-term prospects as a standalone company. U.K. takeover rules stipulate that companies seeking to make an acquisition must either make a formal offer or leave the target company alone after 28 days of making an initial approach. In this case, Pfizer faced a deadline of 5 p.m. London time. The rules are designed to ensure a company is not constantly besieged and distracted by unsolicited bids. One factor driving Pfizer to pursue a takeover was related to taxes. Pfizer hoped to move its corporate base from the U.S. to the U.K., allowing it to pay British tax rates and save $1.4 billion annually, according to some analyst estimates. AstraZeneca's board said last week that it was convinced Pfizer's takeover hopes were driven by potential cost savings and tax minimization. "From our first meeting in January to our latest discussion yesterday, and in the numerous phone calls in between, Pfizer has failed to make a compelling strategic, business or value case," the board said. The potential takeover attracted significant political attention, with some urging the British government to move to prevent takeovers by foreign firms in the interest of national security.